Visualization can be a very useful tool for getting a deeper understanding of how your business works. It helps make your processes more transparent, as well as easier to understand and analyze. The workflow diagram is one of the most popular visualization methods – it’s simple to design, read, and understand all at the same time. A workflow diagram is a visual representation of a business process (or workflow), usually done through a flowchart. It uses standardized symbols to describe the exact steps needed to complete a process, as well as pointing out individuals responsible for each step. The “workflow” as we know today can be traced back to two American mechanical engineers, Henry Gantt and Frederick Wilson Taylor. Both were known for their contributions towards the development of scientific management. On its own, a workflow diagram can be extremely helpful with analysis. By seeing how the business works from a top-down perspective, you can identify it’s potential flaws, weaknesses, and areas for improvement. 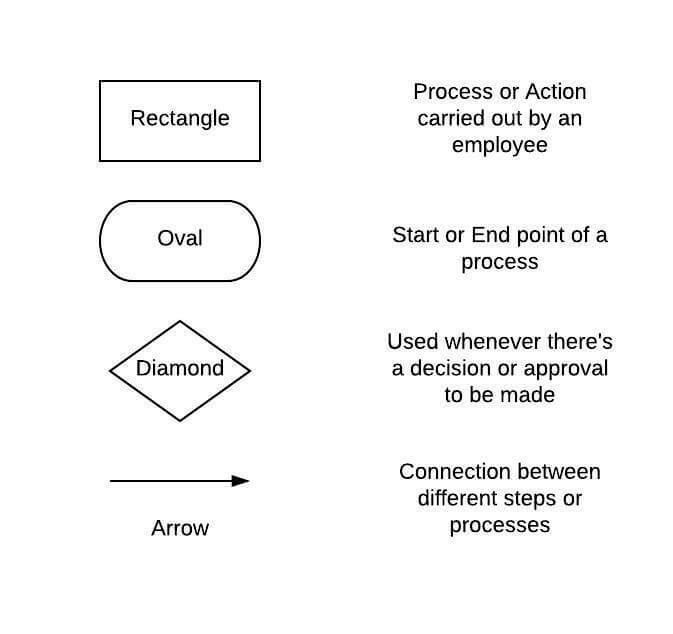 On top of that, the workflow diagram can be extremely helpful for your employees, as a means of double-checking what needs to be done, who’s responsible, etc. It can also be used in combination with process management methodologies, such as Business Process Management (BPM) or Business Process Improvement (BPI). With a workflow diagram, you identify weaknesses and potential improvements. With the right methodology, you develop potential ideas on how to improve. Flowchart – a workflow diagram can be in the form of a flowchart, but it isn’t necessarily so. It can also be in the form of a SIPOC diagram, swimlane, etc. Business Process Mapping – a workflow diagram is the graphing of one single process. Business process mapping, on the other hand, is on a much higher level. It can mean mapping out different types of processes, data, systems, as well as the employees involved. Business Process Modeling – while this does involve using workflow diagrams, it’s not exactly the same thing. While the diagram is simply the visualization of a process, modeling means taking the diagram of the process as-is (as in, how the process is right now), finding potential improvements, and creating a to-be (how the process should be in the future). Initially, workflows were specifically used for manufacturing. Today, however, it can be applied to pretty much any industry, as long as it has some repeatable processes. Process Analysis & Improvement – Through visualization, you get a much more throughout understanding of how a certain business process works. This information can then be used to find potential weaknesses or improvements. Process Instruction – A lot of the know-how in your company is based on tribal knowledge. Meaning, if a key employee leaves the organization, the others can get confused on how to carry out a specific process. If you’ve got it visualized, though, they can just consult the document. Tracking & Management – Workflow software, in addition to helping with process mapping, can be used to keep track of the process in real-time. Meaning, you can see who’s responsible for what, what’s the deadline, whether there are any hold-ups, and so on. As you could have guessed, all this can be beneficial for any organization, as it’s hard to find a company that doesn’t have processes. E-Commerce – The most common use here is tracking an order. The transaction is confirmed and money received. Content Marketing – In most cases, content marketing can be hectic. It involves the cooperation between the writer, designer, marketer, and potentially several other employees. The marketer uploads the article on WordPress or CMS, optimizes it for search, shares it with influencers, etc. Employee Onboarding – It’s essential that your new employee starts work on the right foot. Structuring and optimizing the process makes this significantly easier. While the list we’ve mentioned above isn’t comprehensive (there’s a lot of different symbols depending on use-case), it’s a simple way to get started. Then, once you’ve got the symbols down, you’ll need to pick the right tool. Pen and Paper – the most basic (and easiest) option. Just grab a pen and paper and draw the process either from memory or through consulting the process lead. Flowchart Software – software dedicated to graphing, specifically. Since you’ll probably be storing the charts online, anyway, this takes out the extra step of scanning. Workflow Management Software – just about the same thing as flowchart software, with several significant benefits. Software, in addition to visualization, allows you to keep track of the workflow online, automate certain steps, identify bottlenecks through analytics, etc. Now that you know how the technicalities work, here’s how to create the diagram that’s going to be both legible and helpful. First off, you’ll need to determine what’s the purpose of the diagram. i.e, is it for onboarding? process analysis and improvement? Depending on what you’re going for, you’d need to include different types of information. For analysis, for example, you’d have to be a lot more specific about process steps, mentioning information such as resource input, output, etc. With onboarding, you just have to mention the roles, responsibilities and exact to-dos. You should also consider who’s going to be seeing the workflow. If it’s a client, you shouldn’t mention any overly sensitive company information. Finally, make sure to strictly define the workflow – where does it start, and where does it end. This ensures that you don’t go overboard and map the exact process you want to work with. Whatever your role is in the organization, chances are, you don’t know everything there is to know about every process. Who’s in charge of what activity or task? What tasks are involved in each step of the process? Are there any delays in the process? Potential improvements? Bottlenecks? Now that you have a good idea of how the process works, you can finally design the process. Use the information you’ve learned to finally visualize the as-is process. If you’re using the workflow diagram for onboarding or process instruction, you’re done. All you have to do is ensure that all the right employees have access to the graph. If, instead, you’re in it for process analysis or improvement, move to the next step. Are there any process steps that are lagging? Bottlenecks? Tasks taking more time than they should? What are the most important activities for the process to be successful? How do they affect the end-product? Can you make them more efficient through automation? Cutting out steps? Changing things up? Are certain steps riskier than they reasonably should be? Any missed deadlines? Can you identify processes that are more expensive than they should reasonably be? Once you’ve got the improvements figured out, you’d want to reflect that on your workflow diagram. While you could just start executing it, it’s more efficient to have something to show to your employees. This way, they’re far more likely to stick to the new method, rather than revert back to the old one whenever you’re not looking. Or, if you’re using workflow management software, all you have to do is make a change to the process template, which will ensure that whenever the employees start a process, it’s going to be the latest version. There are several different ways to create workflow diagrams, with these 4 being the most popular. Process Flowchart – the simplest (and the most straightforward) type – all you have to do is map the process chronologically (what follows what). 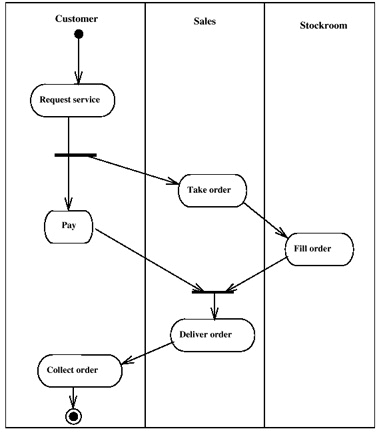 BPMN – a very specific way of creating flowchart diagrams. 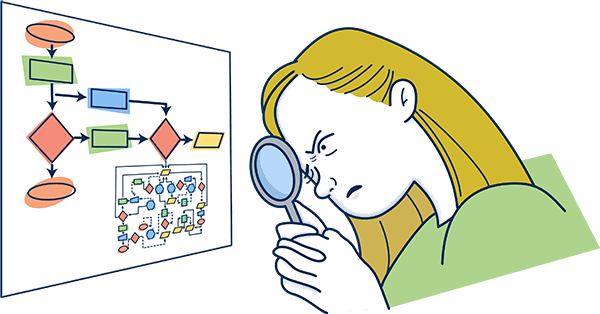 The difference is that BPMN uses standardized symbols and elements, making it easier for other people or companies to understand the diagram. Swimlane – functions just about the same as a regular flowchart. The one differentiator here is that the process is split into different departments. 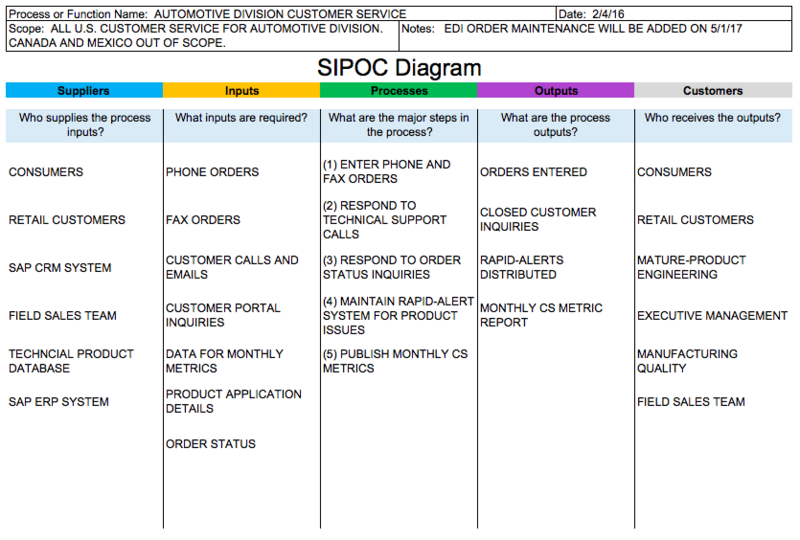 SIPOC – stands for Suppliers Inputs Processes Outputs Customers. Unlike the flowchart, SIPOC doesn’t have anything to do with the order of steps within a process. Rather, it focuses on analyzing the most important aspects of a workflow. While having workflows documented is beneficial, automating them is even better. Workflow management software helps route tasks between different employees, cutting out the need for the chaos of emails. On the employee-end, you get a dashboard of tasks and to-dos. As a manager, on the other hand, you have a top-down view of all your workflows, as well as deadlines, bottlenecks, etc. And the best part? It’s free for up to 5 users. Give Tallyfy a try and see how the software increases efficiency first-hand. Not sure about how to use workflow software? We’ve got you covered with our comprehensive guide! If, on the other hand, you’re stuck between choosing different providers, read up on how to pick the right workflow management system. Definition – What is a Fishbone Diagram?